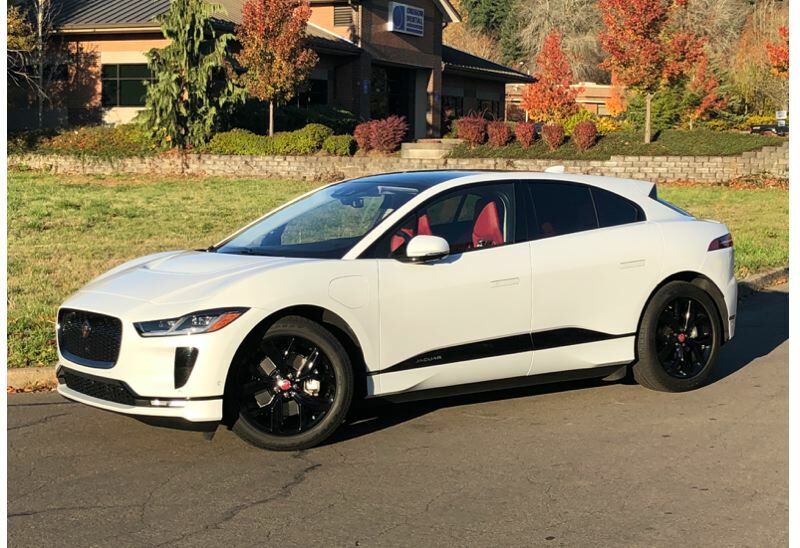 The I-PACE is good for up to 234 miles of range, but is also blisteringly fast, with 394 horsepower and 512 pound-feet of torque. Until now, Tesla has had the all-electric SUV field to themselves, and the Model X set the standard for this brand-new market segment. But several automakers are set to enter the market with electric SUVs in 2019 and 2020. The first of those to hit dealer showrooms is the all-new 2019 Jaguar I-PACE. Jaguar has been on a winning campaign with new cars for the last several years, and the I-PACE takes things to the next level. The compact I-PACE was designed from a clean sheet of paper to be an EV. You can see the design influence from the rest of the Jaguar brand in the sleek curves of the body, but this is an entirely new idea. The I-PACE is powered by twin electric motors, one each to drive the front and rear wheels. With a 90 kWh battery pack, the I-PACE is good for up to 234 miles of range if you're light on the accelerator. However, the I-PACE is also blisteringly fast, with 394 horsepower and 512 pound-feet of torque, boasting a 0-60 time of 4.5 seconds, and a top speed governed to 124 MPH. Honestly, it's breathtaking. Inside, the I-PACE is a technology marvel right out of science fiction. It features a 10-inch screen high up on the dash for navigation and infotainment, and a smaller screen lower down for climate and vehicle controls. There's also a digital dashboard for the driver. Jaguar also included enough real buttons to make the tactile experience of the vehicle enjoyable. The system supports both Android Auto and Apple CarPlay. 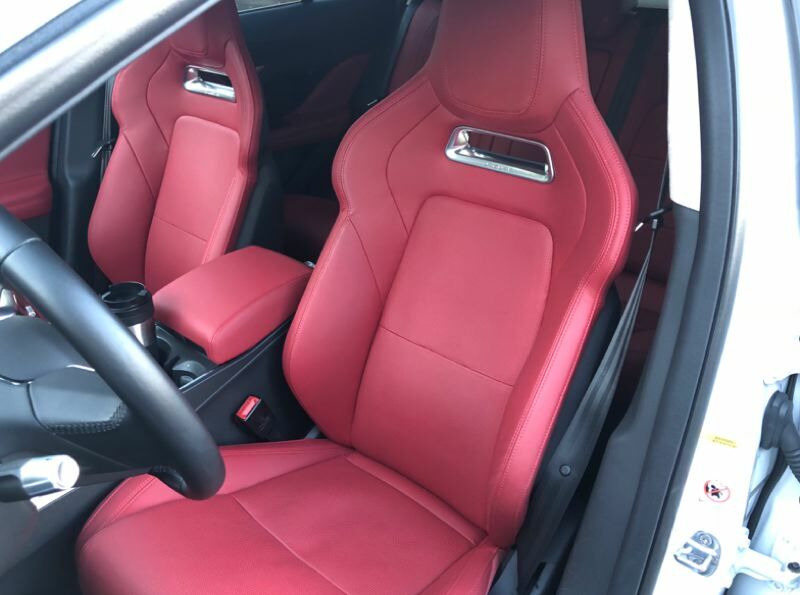 The seats in the I-PACE are a new thin-shell design upholstered in red leather. 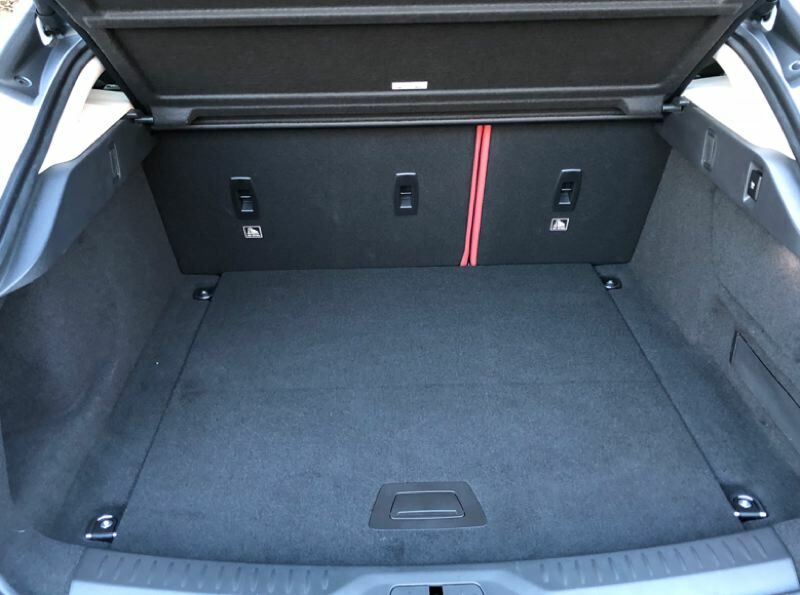 The seats offer complete adjustability, excellent support, and they're both heated and ventilated. As an EV, this is a quiet vehicle, although you'll notice more road noise on Portland's rough pavement because of the lack of engine noise. However, the Meridian audio system never sounded better. On the road, the I-PACE is nothing short of glorious. 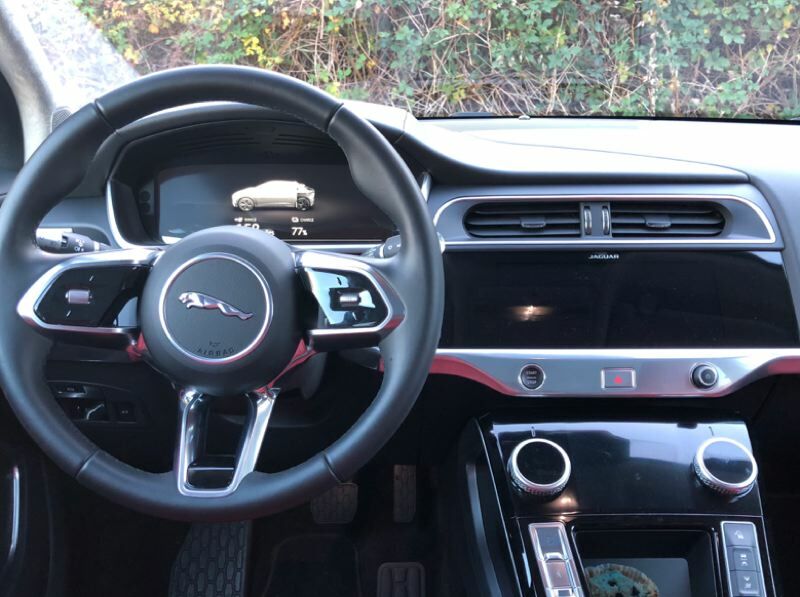 The ride and steering are as tight and smooth as you'd expect from a Jaguar sports car, and you can set the regenerative braking system to allow driving with just the accelerator pedal. The AWD system includes Jaguar's All-Surface Progress Control, which keeps you moving on ice or snow. The bottom line is that Jaguar now has a strong contender in the EV market. In the next year Volvo, Mercedes-Benz, Audi, BMW, Ford, Volkswagen, Hyundai, Kia, and Subaru all plan to bring out electric SUVs. Newcomers such as Byton and SF Motors also plan to compete in this segment. The market for electric SUVs is about to bloom.